Making a deal with Edward Snowden: The grudging case for a plea bargain. The (grudging) case for a plea bargain. It’s in the government’s interest to negotiate with Edward Snowden, if for no other reason than to prevent the leaking of more embarrassing information. President Obama and Attorney General Eric Holder both signaled last week that they may offer Edward Snowden a plea bargain. This may surprise you—hasn’t the U.S. government accused Snowden of seriously harming national security, and isn’t it clear that he violated the law by disclosing classified information about the National Security Agency’s surveillance programs? The answers are yes and yes—but nonetheless the government has good reason to settle with Snowden. The reason has little to do with the debate about whether Snowden benefited democracy more than he injured national security. The primary reason for a plea bargain is that Snowden possesses but has not yet disclosed classified information whose release the government thinks would help America’s enemies. One top NSA official believes that Snowden holds the “keys to the kingdom” in his cache of thousands of documents, and wants them back. Glenn Greenwald, the journalist who has published many of Snowden’s revelations, says that “Snowden has enough information to cause harm to the U.S. government in a single minute than any other person has ever had.” If Snowden will commit to keep this information secret, the government would do well to make a deal. True, as Gen. Keith Alexander, the head of NSA, worries, if Snowden is not punished, then others like him will not be deterred. “This is analogous to a hostage-taker taking 50 people hostage, shooting 10 and then say, ‘If you give me full amnesty, I’ll let the other 40 go,’ ” he says. But sometimes capitulation to the hostage-taker is the right thing to do. 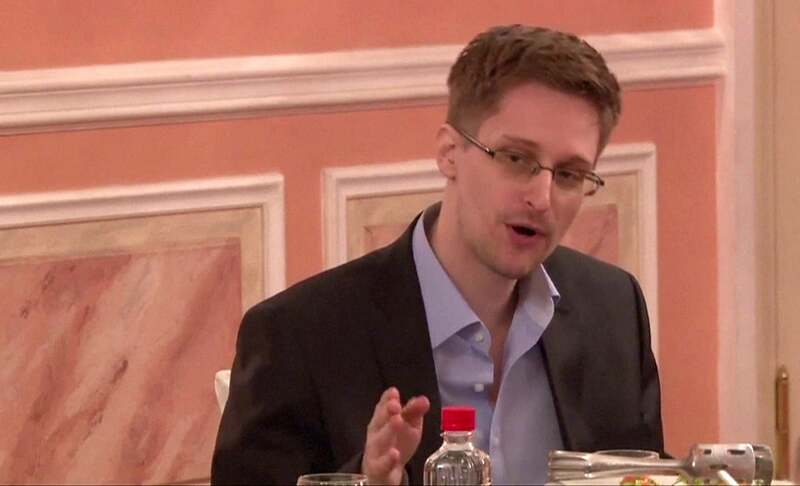 A deal could still send Snowden to prison for some time, rather than no time. And that may be sufficient to deter others from acting like him. There is another reason for a plea agreement: A trial would surely be an extremely disagreeable experience for the U.S. government. It would be a spectacle, the “trial of the century” (at least for a while). Snowden’s case would attract the country’s top defense lawyers, who know every trick for sabotaging a prosecution. They would argue that the court must permit them to disclose confidential information at the trial so that they could mount an effective defense. They would argue that the government must cough up additional classified information—information that Snowden never got a chance to steal—because such information might bolster Snowden’s defense. All this classified information could show that Snowden’s disclosures did not injure the country, or that he had no reason to believe that his disclosures would help foreign countries, or that government officials engaged in abuses we do not yet know about. These arguments may not be strong in a strictly legal sense, but that is not the point of them. The point is to persuade the court that matters for the Obama administration—the court of public opinion. If a judge forbids Snowden to make these arguments, then the trial will look unfair to the public. If the judge allows the arguments only in closed chambers, this will highlight the secretive nature of the government’s actions. And if the judge were to allow Snowden to make some of these arguments in open court, then additional secrets could be revealed to foreign enemies. Snowden’s lawyers would also find excuses to raise in court the benefits that his revelations may have had, and, if they found themselves blocked, then they would make these arguments to journalists waiting for them at the courthouse steps. They would contrast Snowden as a single person who risked his freedom to inform the public with the hulking leviathan that is the U.S. national security system. Even people who believe Snowden acted dishonorably, illegally, and contrary to U.S. security would find their sympathies shift at trial; everyone roots for David over Goliath. Worse for the government, there is a small but real chance of jury nullification. Juries tend to follow the rules, and the judge would instruct them that they must convict even if they believed that Snowden’s motives were pure and his actions socially justified. But jurors can disobey instructions. Even one juror can hold out, causing a mistrial. Or the jury might compromise and convict Snowden of a lesser charge, like theft of government property. Even a small risk of jury nullification would loom over the government’s deliberations. As Attorney General Holder thinks about what terms to offer Snowden, he would do well to consider some history, including the trials of Sacco and Vanzetti in 1921 for murder, Nazi sympathizer Elizabeth Dilling during World War II, Alger Hiss for perjury in 1949–50, the Rosenbergs for espionage in 1951, the Chicago 8 for incitement to riot in 1969, Angela Davis for murder in 1972, and Daniel Ellsberg for espionage in 1973. These cases seemed easy at the start, because the defendants seemed to have clearly violated the law. But then the trials became media circuses, made heroes of the defendants, punctured the credibility of the government, hardened latent political divisions, or all of the above. However guilty, the defendants won public sympathy because they acted on the basis of ideals rather than greed. In some of the prosecutions, notably Ellsberg’s, the notoriety of the crimes led to abusive investigative tactics that were then exposed in court. The government tends to trip up when the stakes are high and the media spotlight beats down. The Guardian, which has published many of Snowden’s revelations, was still wrong to argue that Snowden deserves a pardon. Only a trial can establish the facts that could justify a pardon. But the New York Times was on a stronger ground when it argued that the government should plea-bargain. It’s in the interest of both the government and Snowden to avoid the risks of trial, and it’s in the interest of the public to avoid further disclosures of classified information. So a plea bargain would be in the interest of everyone. Which is not to say that it would be in the interest of justice.